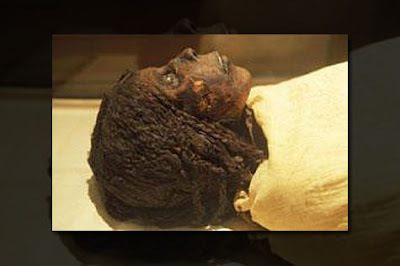 Natural Hair from the crypt: Your hair can lasts for centuries too! How has being natural changed your style? Do you have a favorite outfit? No matter how you're feeling, when you wear it, heads turn? How has being natural influenced your clothing choices? Do you still look great in all past outfits? Or do you have to style your hair in a certain way to pull off your new look. I'm a big fan of party dresses....I remember when I got my first job out of college, I would buy one dress a week out of Bebe! Yes silly decision, now Bebe has all of my money and I have a closet full of dresses...unlike Carrie Bradshaw who likes her money where she can see it .i.e. is in her closet. I like my money where it is bearing interest i.e. my bank account. Have you ever heard the saying "Hair completes an outfit?" You could have on the flyest dress but if your hair isn't right the entire look is off. Since I've been natural, I've had to change my hair style depending on the outfit. When I had straight hair, my wrap seemed to go with every look from beach bum to party chic. How do you change your hair to fit your outfit? Hello Kurlees! We need your thoughts. We are bringing out a new line of tanks for the summer and need your vote. Do you prefer the regular tank or racerback tank? Both tanks are the same quality, stretch fit. The only difference is the back of the tank. If you are attending the World Natural Hair Show in Atlanta, Georgia on April 28th-29th look for us at Booth 119! Why do I have knots at the nape of my neck? In the black community you can judge the 'grade' of someone's hair by looking at the nape of their neck. You know what I'm talking about when I say nape right? That part in the back of the neck where hair starts to roll up and show its true form. Since I've decided to 'go natural', I find myself looking around at other women's hair whether they are natural, weaved-up or straighten. While working out in the gym the other day, I noticed this girl running on the treadmill in front of me. One of the reasons I noticed her was because her long weave was in a neat ponytail and dangled from side to side as she ran. Occasionally, the ponytail would swing high enough exposing the nape of her neck. Underneath the ponytail, I could see numerous knots lining the back of her hairline. This sighting really bothered me because it's one of my 'pet peeves'. I believe that what ever hairstyle I have in, if it doesn't look natural then I shouldn't be wearing it. Whether it's braids, sew-ins or relaxed hair. Making sure that each strand blends in is very important, after all isn't that why gel was invented? Those 'cousins' as we like to call them in the Bahamas need to be brushed, smoothed or comb to blend in to whatever style you decide to wear. The edge of your hair line is more fragile than the rest of your hair because of its exposure to build up, sweat, and pulling. Think of it as the area around your windshield that does not get wiped by the wipers. With your face being the part of the windshield that's cleaned. Whenever your car is dirty there is a major difference between the spot where the wipers touch (face) and the edge (hair line). This is one of the reasons why the hairs on the hairline are shorter than the others. Happy Monday Kurlees! Today's Mad Hair Monday Model is none other than the First Lady of the United States Michelle Obama. When I first saw the photo I was like "WOW! Mrs. Obama really looks good in an afro. I wonder how the stylist made the weave look so natural." Just so happens the below pic was photoshopped using Natural Chica's hair (pictured on the right). Although Mrs. Obama looks fabulous in her 'afro do' it makes me wonder what texture would hair natural hair really be. Would she have type 3 or 4 hair? Either way she is rocking Mae-Ling's hair in that photo. Do you think America is ready for a naturalista in the White House? The best things in life are free....for those that are not free...the best things in life serve multiple purposes. Like the pair of black pointed toe heels that go with a suit or skinny legs. Or your favorite blazer that adds that extra 'umph' to any outfit. Lucky for us hair fanatics our kitchen serves a multiple purpose in nourishing our body's and hair! Prepare a deep-conditioning mixture for your lifeless locks. In a bowl mix 2 tsp of Castor Oil with 1 tbs of olive oil and 1 egg yolk. After you've obtained a fine paste apply to your locks. Then cover your strands with a plastic wrap. Leave the treatment overnight or at least an hour for quick and amazing results. Rinse off the mixture with a tiny amount of shampoo and tepid water. Restore the fine and glossy texture of your hair with this simple treatment. In a bowl mix 2 egg yolks with 1 tbs of nut oil and 1 drop of lemon essential oil. Massage this hair pack in your locks and scalp then cover your hair with a warm towel. Leave the mixture on for 40 minutes then wash it off with lukewarm water and a few drops of shampoo. Massage deep-conditioning treatments in your locks to have strong and healthy strands. Use a blender to mix 1 egg with ½ peeled avocado and 2 tsp of wheatgerm oil. Spread the treatment uniformly all over your tresses and leave it on for 30 minutes. Remove the traces of the nourishing mask with a few drops of shampoo and tepid water. Pamper your frizzy locks with an efficient and nourishing treatment. In a bowl mix 1 tbs of corn flour and 1 glass of organic tomato juice. Apply the hair pack on your damp locks and cover your head with a towel. After 30 minutes rinse off the treatment with tepid water and a tiny amount of shampoo. Repeat this hair care ritual twice a week for quick results. The following hair treatment recipe guarantees the soft and silky texture of your locks. Use a blender to mix a medium sized pear chopped into tiny pieces with 2 tbs of apple cider vinegar and a tiny amount of water to prepare an easy-to-apply paste. Spread the mixture all over your locks and leave the treatment on for 20 minutes. The last step is to wash off the hair pack with lukewarm water. Mix 7 tsp of soy with 1 glass of warm water and apply the mixture on your wet locks. Leave the hair pack on for 10 minutes then rinse it off with tepid water. Soy is rich in protein a nutrient which can restore the voluminous and healthy texture of your locks. 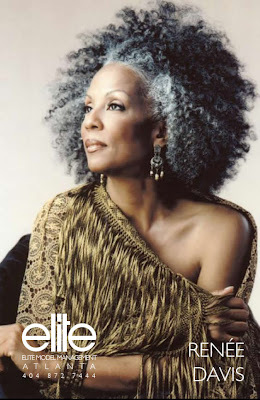 Gray hair is synonymous with old age. That was true like 500,000 years ago but not today. 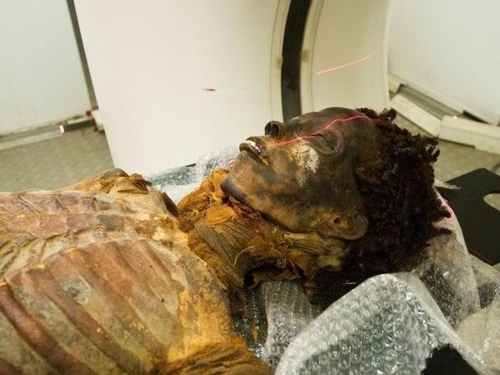 A lot of women have decided to go natural and I'm not just talking about no chemical relaxers. More women including young mothers, professionals and even runway models have put down the hair dyes and opted for an au natural look! No chemicals. No dyes. Gray hair used to be shunned with women spending hundreds of dollars at the salon to cover their "roots". With all the harsh chemicals in products, we see that its safer to forego any products that chemically enhance the hair as seen in " Why some dyes can land you in a coma..."
Pigment in the hair shaft is generated from cells at the base of the root and as we get older these cells start producing less pigment until there is no pigment at all in the hair. Age plays a huge factor in graying and so does stress. Although there is little research to prove that gray hair is linked to stress just look at "Before and After" pictures of President Obama. I'm under 30 and my hair is turning gray? Depending on your race your gray hair may not be considered premature. Typically white people start going gray in their mid-30's, Asians late 30's and African Americans mid-40's. 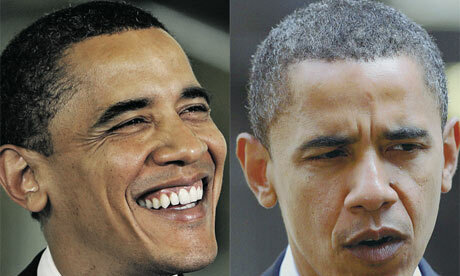 #1 myth of gray hair: Plucking one gray hair and four grows back-----oohhh sooo false. Tips for going gray and looking great. Work with your stylist to weave in highlights to minimize the transition line between your natural hair color and former hair dye. Get a hair cut. Just because your natural doesn't mean you can't get a short cut that looks like a cut. Hello Kurlees, it is Monday again and as always we are featuring a fly natural hair REAL woman! Seems like our blog is becoming international. 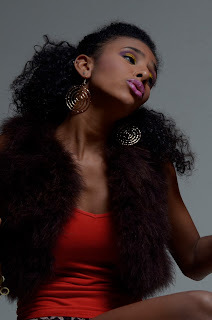 Last week we featured a talented young singer from the Bahamas now we have a beautiful model from the land of the Queen! Xuxa is a British professional model and an aspiring actress. She is signed up with Model Agency Face4music, and has modelled professionally for one year, landing music video jobs for various UK artists and working on photo shoots, including being the featured model for the L'Divaa lipstick campaign. She began her modelling career at the age of 17, when she entered the Miss Teen Queen beauty pageant. She was a popular contestant in her heat, representing her hometown Luton, and she was featured on the front cover of the local 'The Luton News', as her town helped to support her entry with votes. Xuxa loves being a Model, “the photo shoot experience I went through for the beauty pageant was amazing, from there, I knew I loved being in front of the camera”. As much as she loves modelling, Xuxa is also passionate about acting. She has been acting since the age of 8. Her first taste of acting was at Stage Coach, and she subsequently went on to act and perform in many theatre productions. She is currently studying a BA Theatre Arts & Acting degree at University, and she models and acts at every given opportunity. She recently landed her first modelling role in the feature film, Payback Season, "it was a life-changing and valuable experience and I look forward to being cast in an acting role in more feature films, in the future." Juggling a full-time University degree course, whilst “going on castings or being on set for music videos or film shoots has been very hard work and long hours, but it’s all worth it, because I love what I do”. Xuxa is a hard working, and a very determined young model and actress. She is optimistic about her future in the Modelling and Acting industry and looks forward to more work and the challenges coming her way. She would like to be a good role model to all the youngsters who are interested in coming into the industry and she feels, if she is confident enough to share her natural looks, hair and beauty with others - then she will be well on her way to fulfilling all her goals. 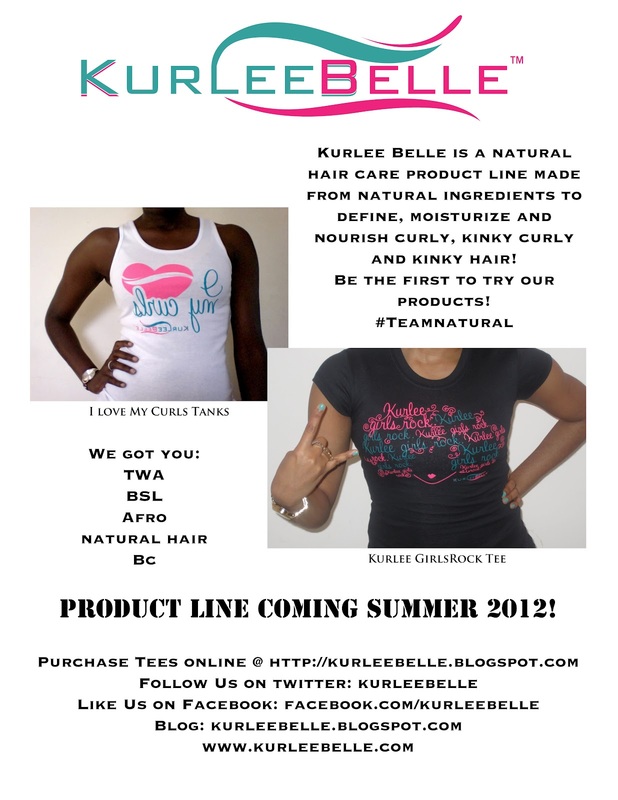 If you are a model, singer, writer, dancer, working girl or just darn right AMAZING and have natural hair send an email to info@kurleebelle.com. We would love to feature you on our blog! It's an old wive's tale that you can catch a cold by running around in the winter with wet hair. Research shows that being chilled or wet has no effect on whether or not people catch the common cold. ---Now you can pause from reading this post, pick up the phone, call and tell your mother she was wrong-----just kidding...but doesn't it feel good to know that "wash n go's" are perfectly fine for the winter? Winter is almost over but I thought I should share this knowledge since like most of you I get tired of doing my hair all the time. Wash n go is the perfect low maintenance style where you don't have to spend countless minutes in the mirror twisting and tucking your hair away. If you still don't believe the whole thing about not catching the cold from wet hair. Here are some tips on how to let your hair air dry while reducing frizz and the limp effect. Ultra-absorbent towels remove excess moisture. Try using a Microfiber Hair Towel when drying your hair. Wide tooth combs are great for minimizing breakage, detangling and releasing capsules of water trapped in hair. Try using a wide tooth comb when combing through your tresses. A light gel or mousse can help provide body and movement without weighing the hair down. A curling creme can lend structure with soft hold. Lightly apply whichever product you decide to use. Remember its easy to add product but harder to subtract. 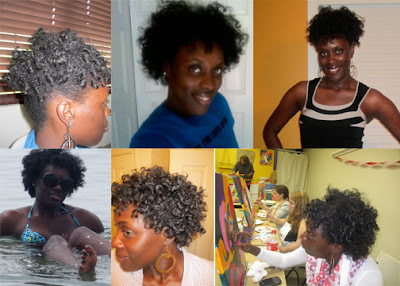 Elle of the Quest for the Perfect Curl rocks a killer wash n go like it's nobody's business! Here is a video tutorial from Elle about how she achieves her wash n go look. Does hair really grow faster when protected? Actually hair doesn't grow faster when protected than when constantly styled. I have been the victim of this illusion. Kept braids or weaves in for months and magically my hair has grown tremendously. I have also said on numerous occasions "I'm going to put some weave in to let my hair grow out." Turns out, hair grows at the same rate it would protected or not. The reason why we seem to retain more length when keeping a weave in for three months or more is because our hair is not being constantly manipulated. 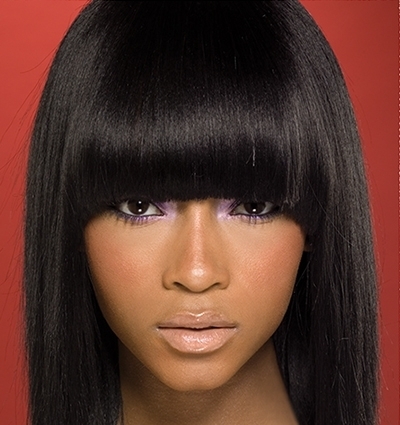 When hair is exposed and styled it is more prone to breakage, dryness and environmental factors. When the hair is braided or covered it is allowed to grow without interruption. Buy a detangling brush and use it! Denman is a great brand. Never style dry hair. Purchase a spray bottle. Fill with H2O and spray hair while styling. Daily styling should be avoided. Try styling every two days if you must keep your hair looking fresh. Those knots on the ends are not meant to be torn. Instead of tearing through knotty ends. Spray with water and use a little bit of a detangling condish. Clear with Denman brush. Satin Caps….need I say no more. Good luck with keeping those tresses protected and retaining length. Hey Kurlees! I hope you're having a great Monday so far. Today we're doing it a little different, our feature model is the talented and beautiful songstress Angelique Sabrina! Oh and I forgot to mention she is also a Bahamian naturalista! Lovin' the long lustrous curls! Check out a portion of Angelique Sabrina's bio below. At age 8 Angelique came 1st runner up in Little Miss Talented Bahamas, where she played piano and sang her first original song “I Will Shine Through”. Since then she has written a number of other songs such as "Roller Coaster Ride", "Silly Dance", "Stupid Boys", "Do You Still Love Me", "Giant", "Pick On Me", "The Booty Song", and many others, including her hit song "13", and her latest releases "Speakerbox" and "Loser BLVD". She is currently in the process of recording new original songs in anticipation of releasing an album this year. "Roller Coaster Ride" has been in high rotation on the Top 40 radio station in The Bahamas ever since its release in the summer of 2010. "Pick on Me", "The Booty Song" and "Silly Dance" have been in rotation on 2RDJ and Triple H FM in Sydney, Australia since June 2011 while "Pick on Me" and "Silly Dance" have been in rotation in the Bahamas since early 2011. In August, 2011, with the release of “13” -- a great mother/daughter song about a 13-year-old girl asking her mum to guide her through the journey of life – and, her most recent single, "Speakerbox", Angelique continues to receive strong airplay on most of the Bahamian radio stations as well as two radio stations in Sydney, Australia and on KARR FM.com in Ventura County, California. "Speakerbox" has recently been released to local radio stations, and to 2RDJ and Triple H FM in Sydney, Australia. As of Summer 2011, Angelique has also completed three music videos for "Silly Dance! ", "13" and "Loser BLVD". In October 2011, Angelique and her dancers performed at the Bahamian Artists United Hurricane Relief Concert as well as The International Food Festival in Nassau, Bahamas. Angelique sang four numbers, including "Speakerbox" featuring Sketch, to approximately 15,000 people. Angelique is also a talented actress and in 2009 was an extra in “Ugly Betty” in their Atlantis Bahamas Vacation Episode and also performed as a singer and dancer in the musical “Oliver” at her school. In December 2011, Angelique played the lead female role, Gertrude, in St. Andrew's School play, Seussical the Musical. Additionally, she performed a number with her "Broadway Kidz" group and "Hip Hop" group from Live 2 Dance School. 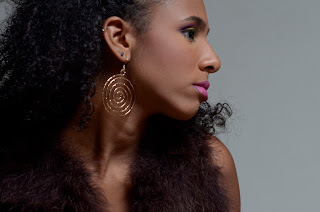 To enhance her performances and to have fun, Angelique loves studying Hip Hop, Acro-Dance and Salsa. Angelique competed and placed 4th in a salsa dance competition in Nassau, Bahamas. Last year, at age 13 years old, Angelique completed a music production and songwriting seminar at Queen's University, Ontario, Canada. Currently, Angelique is shooting the video, for her new single “Pull Up”, with Skee TV in Los Angeles, California. Angelique has loved singing as long as she can remember and says: “I grew up around this passion, love and creativity for music…it’s something that has been passed on to me mentally and genetically. It’s in my blood.” She encourages everyone to “always do what you love, follow your dreams, create your own resources, develop a support system and ask for guidance because that is how you will get ahead in life.” Angelique’s life has always been centered around music, dance, acting, and performing, and she's taking her talents to the stars!!!!!! Check out Angelique Sabrina's Music HERE! Love her song "Speakerbox". If you have fly natural hair and would like to be featured on this blog send 4-5 photos of yourself and a short bio to info@kurleebelle.com. 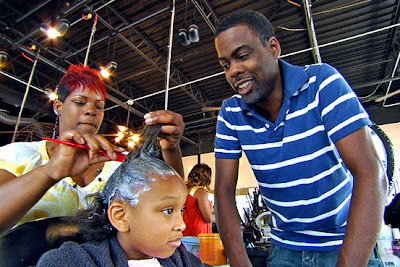 Have you heard the recent rumors about relaxers? It seems like everything is bad for you these days....after Chris Rock's documentary "Good Hair" we saw how bad relaxers really were for our hair. The way it melted through a piece of chicken and a soda can. A recent study shows a link between relaxers and uterine fibrous tumors. The new study published by the American Journal of Epidemiology states that, "In the Black Women’s Health Study, the authors assessed hair relaxer use in relation to uterine leiomyomata incidence. In 1997, participants reported on hair relaxer use (age at first use, frequency, duration, number of burns, and type of formulation). From 1997 to 2009, 23,580 premenopausal women were followed for incident uterine leiomyomata. Multivariable Cox regression was used to estimate incidence rate ratios and 95% confidence intervals. During 199,991 person-years, 7,146 cases of uterine leiomyomata were reported as confirmed by ultrasound (n = 4,630) or surgery (n = 2,516).......Risk was unrelated to age at first use or type of formulation. 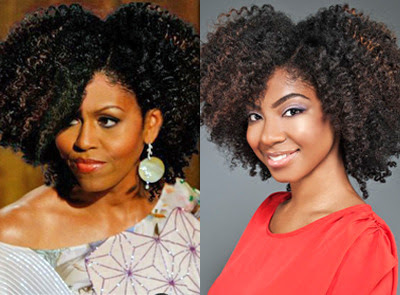 These findings raise the hypothesis that hair relaxer use increases uterine leiomyomata risk." If this study has any credibility it clearly states that there is a link between chemical relaxers and uterine fibroids. This is another reason to be conscious of what we put in and on our body. We cannot leave our well being in the hands of manufacturers who would do anything to make a quick buck. It is a good idea to do your own research before trusting name brands. Hey Kurlees! Happy International Women's Day! Being a woman is truly a lot of work but it is definitely a lot of fun. We get to dress up, wear makeup, change up our hairstyles, hair color, and give life. In the bible it says that God created Eve because He didn't think that it was good for man to be alone. God was definitely on to something. Could you imagine a world without women? What a sad place it would be. 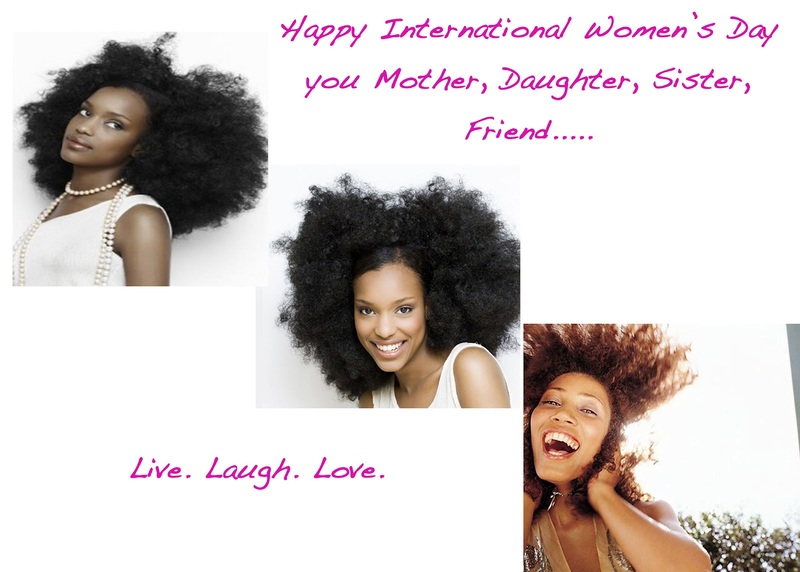 Know that you are God's gift to the world/men and celebrate women's day with pride! What are your plans for women's day? I've been contemplating for awhile whether to color my hair or not. Struggling with the fact that natural hair is dryer than straight hair and hair color can be very drying. With this in mind, I know that getting a color would mean increased maintenance. With all of these thoughts running through my head, I didn't figure out which colors would compliment my skin tone, so I decided to do some research or "google it". A new hair color if done right is like an instant makeover. Changing your look from Plain Jane to Sasha Fierce. But I had to keep in mind that , the same rules that apply to Rihanna, who is a red head one day and a blonde the next does not apply to me. Depending on what line of work you're in, certain colors should be avoided. Like purples, pinks, blues if you must rock a conservative 'do'.....When deciding on a color the first thing to consider is whether your undertone is warm or cool. People with warm skin have yellow or gold undertones and look better in gold jewelry. Cool skin has pinkish or blue undertones and look fabulous in silver jewelry. This are really great facts to know because whether a color is permanent or temporary you're going to have to rock it for awhile until it grows out. 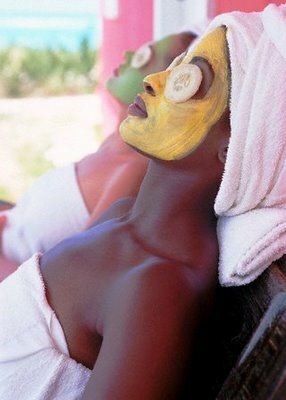 What's your skin undertone and what colors look best on you? Feel free to share. Fayruz Abdiaman is a 5'9" Somalian bombshell. Natural Hair never looked better! Kurlees are you attending CIAA in Charlotte, NC? Hello Kurlees! Are you cheering on your fav HBCU or partaking in CIAA events this weekend? We are! Be on the lookout for Kurlee Belle associates handing out the following flyer! Receive a discount on your Tanks and Tshirt order!